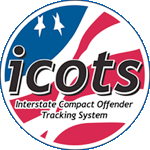 We now track all outstanding ICOTS problems in the Known Issues section of the knowledge base. Any tickets that turn out to be new or outstanding issues in ICOTS will be assigned to a problem number and documented here. Any updates on these issues will also added to the articles. Once an outstanding issue is resolved or addressed, each ticket assigned to that problem number will receive an email notification with a description of the resolution and changed to solved status. When outstanding issues are addressed, they will be moved to the resolved issues section of the knowledge base. Welcome to the ICOTS Helpdesk!